Blind Pilots are a Dundalk four piece who formed as sixteen year old school boys with aspirations of achieving musical greatness. Now at the ripe age of 21 Jim O’Donoghue Martin (Vocals and Guitar), Gavin Murray (Drums and Vocals), Ronan McGeough (Bass) and Ian Patterson (Guitars) are preparing for the release of their double A single Rosé Cheeks/Cocktail on the 28th of August 2010. The band have built up a reputation as an energetic live act, supporting high-profile acts such as Fight Like Apes, Ham Sandwich and Giveamanakick. 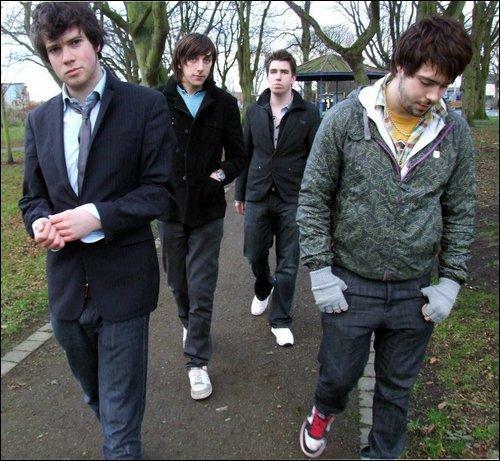 In 2008 their debut EP The Toys Have Gone Berserk was widely well-received by the public and reviewers. The songs are an interesting contrast. Rosé Cheeks is the livelier of the two tracks, with its offbeat intro and almost Pixie-esque guitars. Cocktail is somewhat darker with lingering bass and hushed vocals leading up to a more melodic chorus with a fantastic catch. This entry was posted in Music and tagged Blind Pilots, Double-a Side, Dundalk, Music, Rose Cheeks. Bookmark the permalink.